The Enterprise Architect.Project interface. This is the interface to Enterprise Architect elements; it also includes some utility functions. 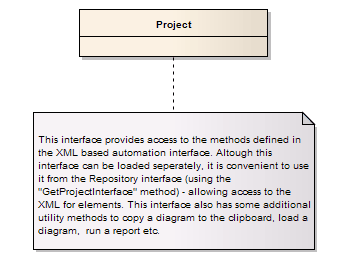 You can get a pointer to this interface using the Repository.GetProjectInterface method.